Antler Dog Bone -Large Whole (Instead of Shoes) for Dogs 45-80 lbs. 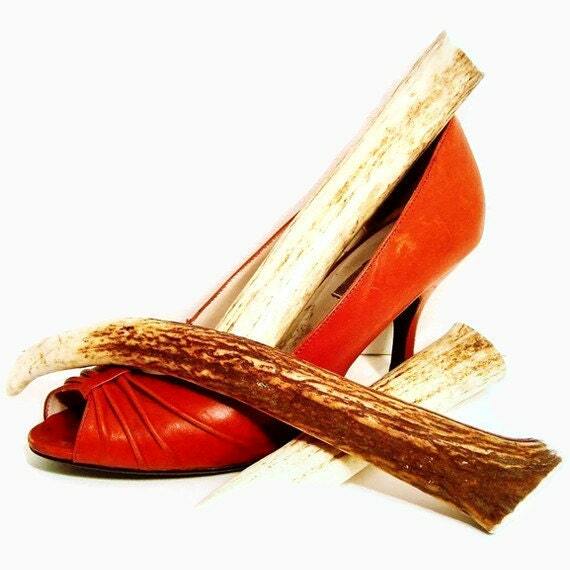 Antler Dog Bone here to Save the shoes! Give them a Large Whole Antler Chew that has little to no exposed marrow, and all cut edges smoothed for your dogs safety and comfort. Weight between 4.8-7 ozs. Length between 6.5"-8" Sized for dogs 45-80 lbs. A great size for those strong jawed Boxers or Pit Bulls. Small Whole Antler Dog Chew -Sized for Dogs 10-25 lbs. Extra Small Whole or Half Antler Dog Chew -Sized for Dogs under 10 lbs. Antler Dog Chew X-Large Whole Sized for Dogs 80 -110 lbs. Medium Whole Antler Dog Chew -Sized for Dogs 25-45 lbs. Medium Half Antler Dog Chew -Sized for Dogs 25-45 lbs. Elk Antler Dog Chew -X-Large Half Sized for Dogs 80-110 lbs. Great product, given as a gift and the recipient loved!! Much better deal on elk antlers than you’ll find in pet stores! Always fast shipping too! Large Half Antler Dog Chew -Sized for Dogs 45-80 lbs. Excellent customer service. My dog loves these antlers!! Payment is expected within 3 days of a sale. Any items shipped to a Washington address will be charged sales tax for that destination. I accept Paypal, money orders and cashier's checks. With a money order or cashier's check, I will ship the item after I have confirmation that they have cleared my bank. I do not accept exchanges or refunds since this is an edible product and could not be re-used by another customer for safety reasons. Shipping will be within 1-2 days of receiving the order and generally will be USPS Priority Flat Rate Shipping. This includes Delivery Confirmation for free. Only actual shipping rates will be charged with no handling fees.